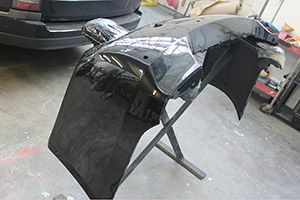 Body repairs can be fairly tricky, however, it’s no problem for our fully trained and highly skilled technicians. Had a nasty swipe in the car park? No problem – scratches, dents and paintwork can all be fully repaired at our large facilitated workshop at a fraction of the price compared to main dealers! Not only can we repair panels – kerbed and scuffed alloys can be a thing of the past. Even if you fancy a change of colour, we can apply powder coating to your desired finish! Full fabrication, bodywork repairs even full re-sprays and restorations – all are possible here with our in house facilities and experienced team on hand. To speak to one of our specialists for more info, please call 0208 598 9115.